Despite the natural history and taxonomic focus on beetles and other insects I have adopted for this blog, I am by day an agricultural research entomologist. For the past 15 years soybean entomology has been my focus, and there is no better nexus for soybeans and entomology than South America. Cultivated hectares have increased dramatically in Argentina and Brazil over the past several decades, now totaling nearly 80 million acres in those two countries alone (roughly the same area as in the US, by far the world’s largest producer of soybean). Unlike the US, however, where insect pressure is minor outside of a small number of acres in the southeast, significant pressure occurs in nearly 100% of South America’s soybean acres. 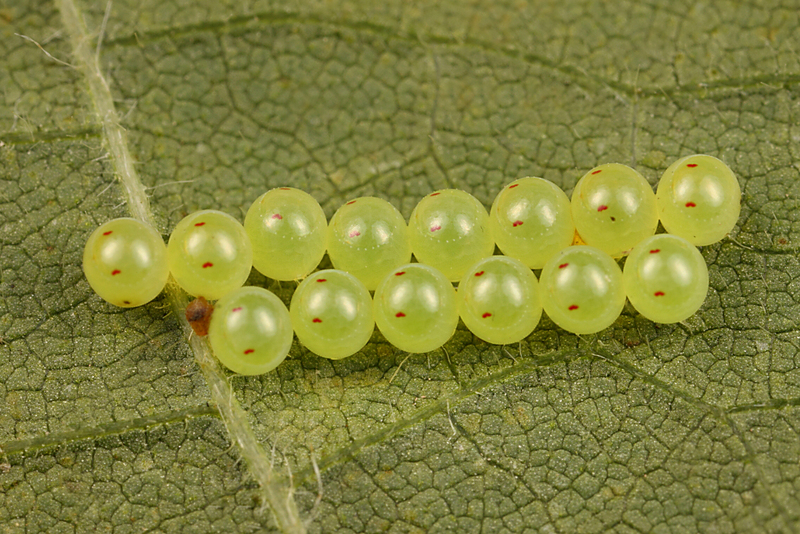 Lepidopterans, primarily species in the family Noctuidae such as velvetbean caterpillar (Anticarsia gemmatalis) and soybean looper (Pseudoplusia includens), are the most important pests, followed closely by stink bugs. This latter group is especially problematic for growers to deal with. 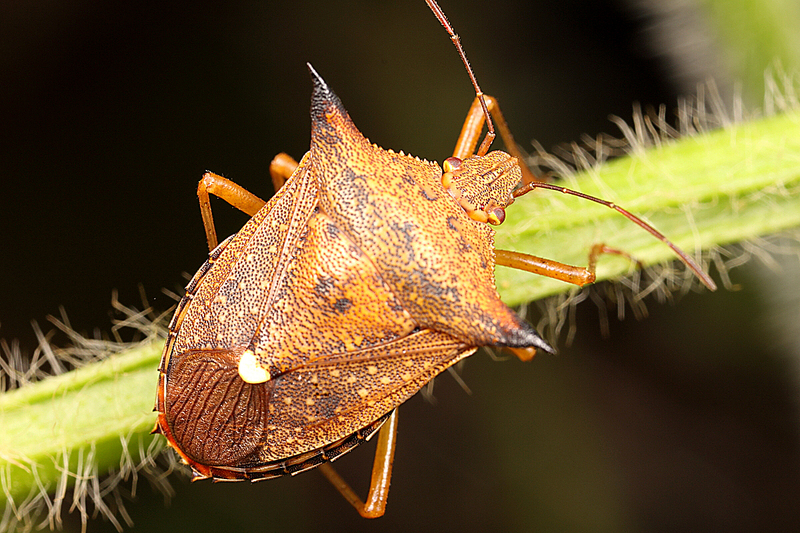 Stink bugs feed on the developing seeds, causing direct yield impacts through reductions in weight and quality, and because they are a guild of insects rather than a single species, differences in product efficacy against the different species can lead to ineffective or inconsistent control. I’m involved in trying to do something about this, and while I hate to be deliberately coy, suffice it to say that there is an awful lot of insecticide being sprayed on an awful lot of acres and that the world really would be better off if this weren’t the case. 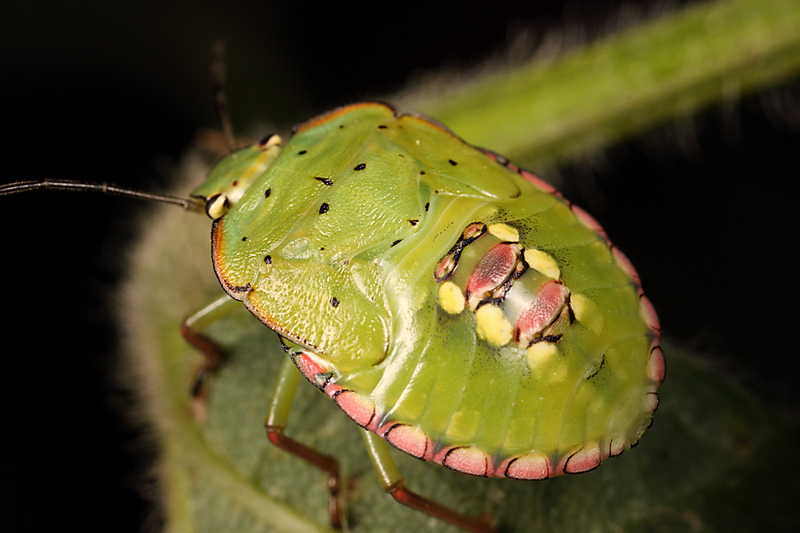 During my recent visit to Argentina this past March, I took advantage of the opportunity while touring soybeanland to photograph a number of these stink bug species. 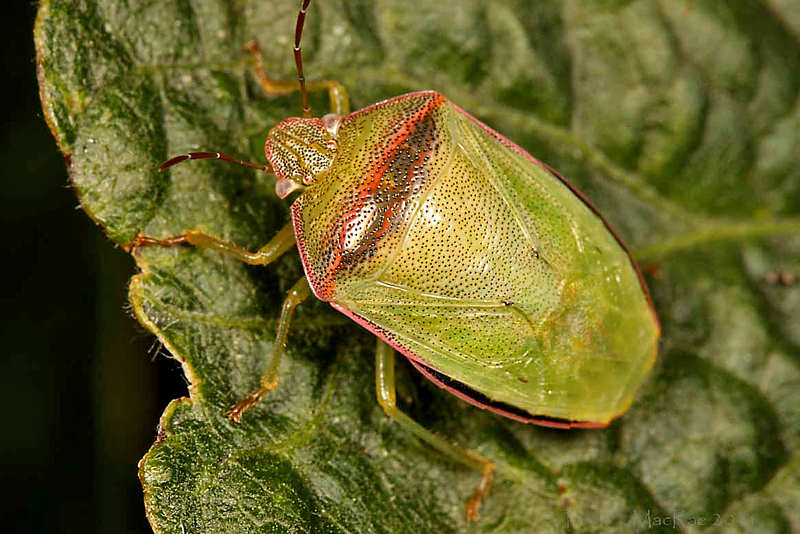 Proper identification of stink bugs in a crop is the first step towards controlling them, thus I present here my own photographic guide to some of the more important stink bug species found on soybean in Argentina. 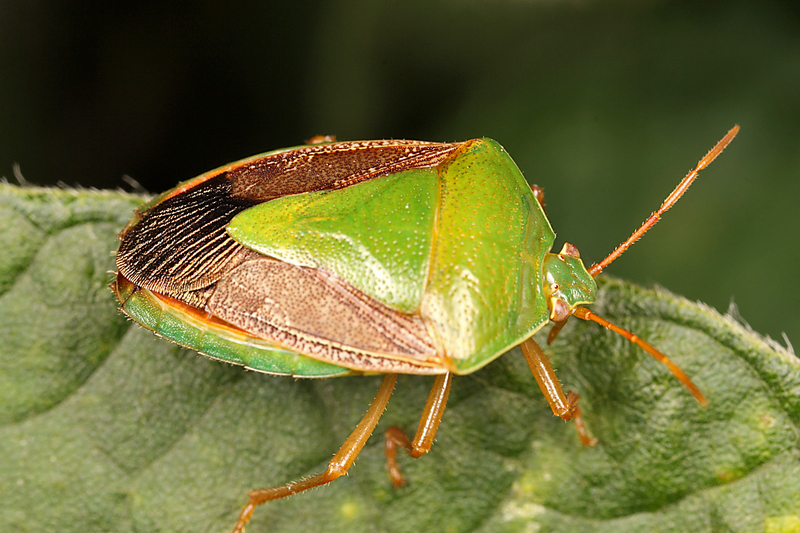 This entry was posted in Hemiptera, Pentatomidae and tagged Argentina, entomology, insects, science, stink bugs, true bugs. Bookmark the permalink. Wow, love the photo of the Edessa meditabunda about to eclose! Are all of these species South American natives, or are some introduced from Southeast Asia? 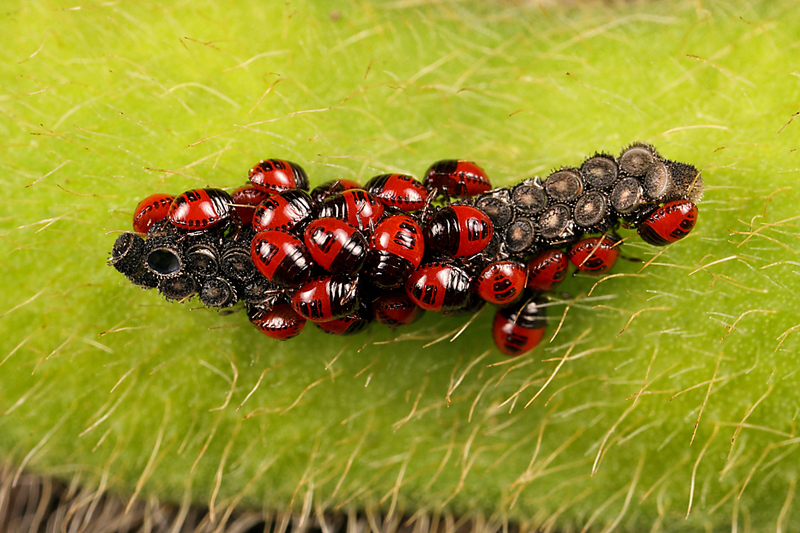 If natives, are there any parasitoids which are known to be associated with them? Hi Morgan. These are all native in South America, although Nezara viridula is pantropical in distribution and Piezodorus guildinii is now introduced in the southern US as well. Within South America, all of these species have greatly expanded their ranges in connection with the expansion of soybean acreage. 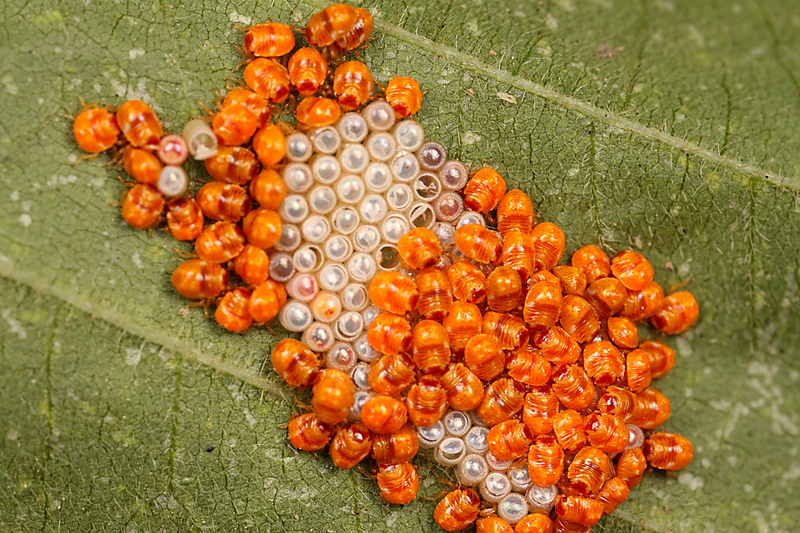 In Brazil, egg parasitoids of N. viridula are mass reared and distributed to growers by EMBRAPA (Brazilian counterpart to the USDA). 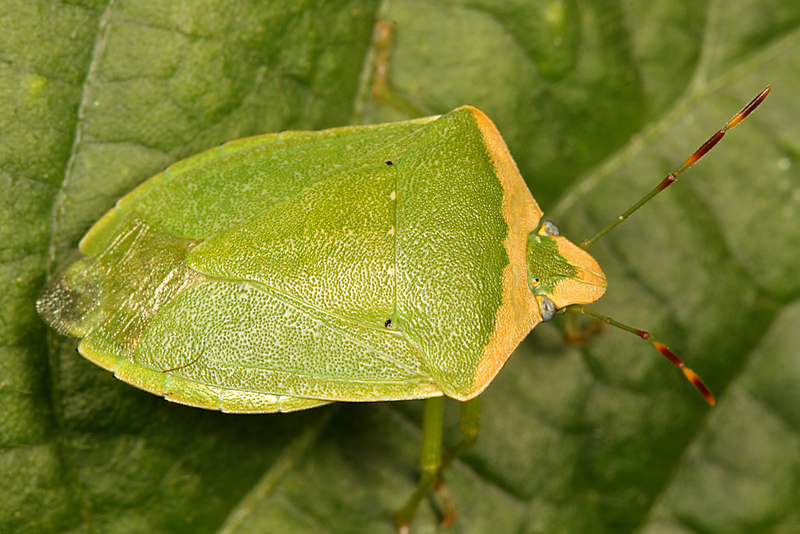 I’m not sure about the other species, but clearly they haven’t been able to keep up with the stink bugs. I love the egg and nymph photos. To get all the various life stages for these species, I’m guessing they weren’t too hard to find. Thanks, Troy. Nezara was everywhere, and I saw Piezodorus in several places. The others I saw only once or twice, but of course these are just snapshots in time from one trip. I’d like to get all of the life stages for all of the species—that won’t be quite so easy. Those egg shots? Those are awesome. Those are put-them-on-a-big-poster awesome. 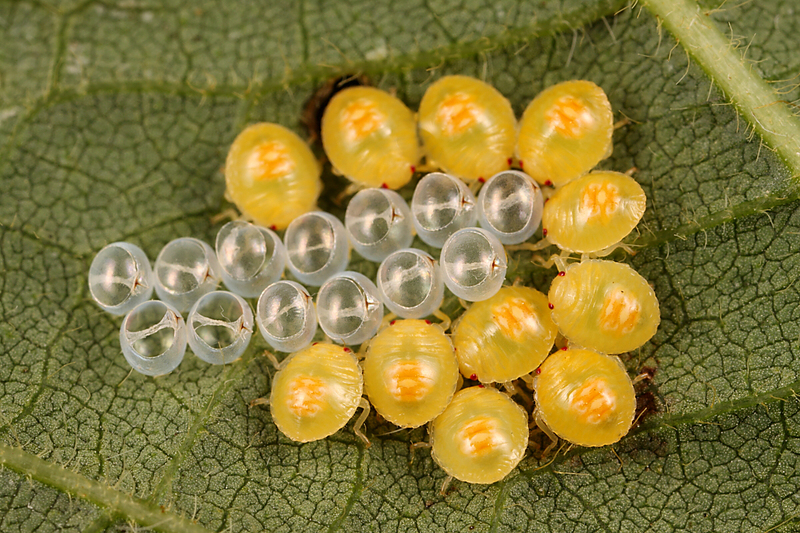 The first instar nymphs are just adorable, and if their parents could be proud of the nice photos of them, they would be. The chance to get some good photos kinda makes up for finding pests in my field trials! Oh, lovely shots. I especially adore the egg and nymph pics! I doubt the chinches in your house are the same ones found in soybean fields. 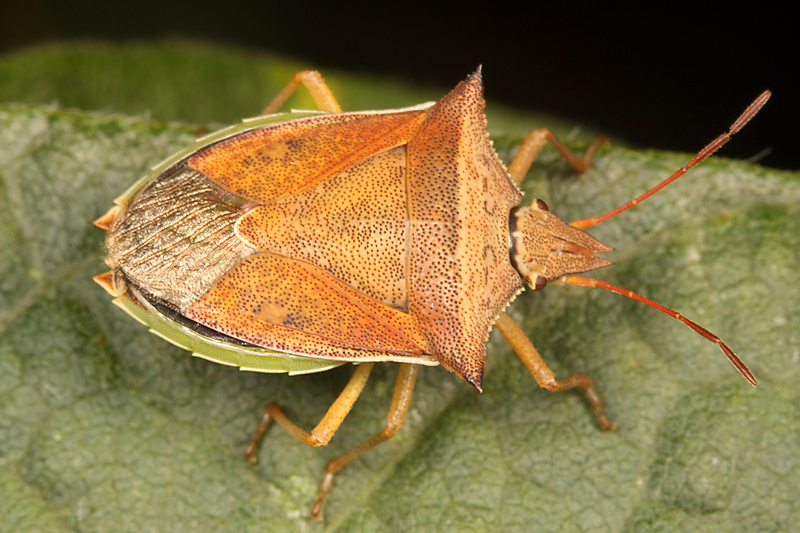 There are many different species with different habits, but normally chinches aren’t a problem in houses – there are other families of Hemiptera such as Rhopalidae and such that might be what you are finding, but without a photo it would be difficult for me to say which it is.